iPhone Screen Cracked Cant Unlock, How to Fix? So, your screen cracked and now you feel like you’re stuck, right? You just can’t get into your device no matter how hard you try, and you need access. After all, your phone has everything you need throughout the day, right? What are you going to do? Luckily for you, there are actually a couple of ways that you can get into your device even with a cracked screen. You just have to try out each of these and see which one works for you. You’ll be back to enjoy your iPhone in no time. Cant access to your iPhone due to cracked screen? The first thing you can do is to remove the lock screen entirely, which can be done with iMyFone LockWiper - one of the most powerful software to bypass screen passcode for cracked, disabled or unresponsive screen. Easily removing all sorts of iPhone screen locks including 4-digit/6-digit passcode, touch ID and face ID. Enabling you to enjoy all iOS features after removal. Compatible with all iOS devices including iPhone, iPad, and iPod Touch with all iOS versions. No special technique skills required, only 3 simple steps to unlock iPhone. To fix iPhone screen cracked cant unlock, what you need to do is following the three super simple steps. That’s because this software is designed to be as user friendly as possible (don’t you wish everything worked that way?). 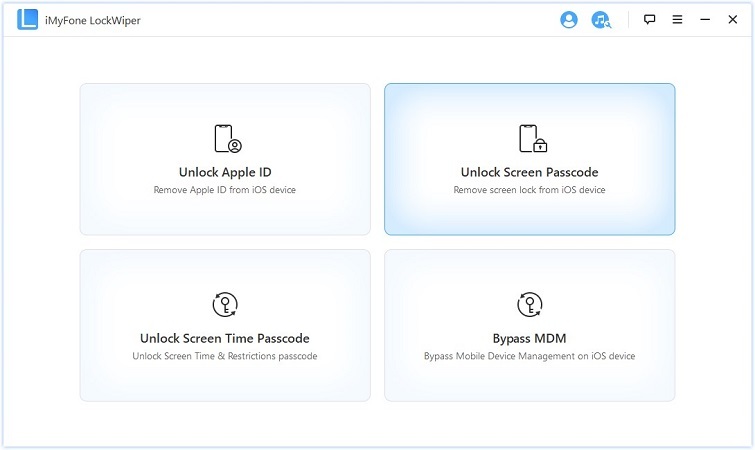 Step 1: Download iMyFone LockWiper and install it on your computer, and choose “Unlock Screen Passcode” mode. Connect your iPhone to the computer. Click “start” and then “next”, your device information would be automatically detected and loaded. 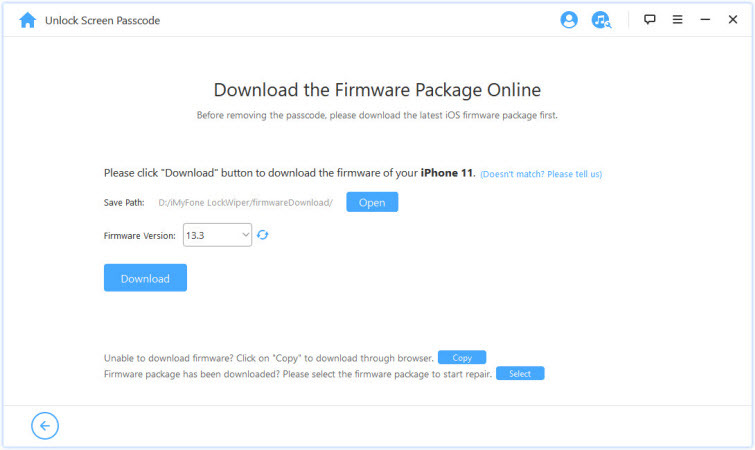 Step 2: Download and extract firmware package.Choose the firmware version you require and click “download”. When it finishes, click “Start to Extract” and wait for a few minutes. Step 3: Click start to unlock. The process would take a few minutes. 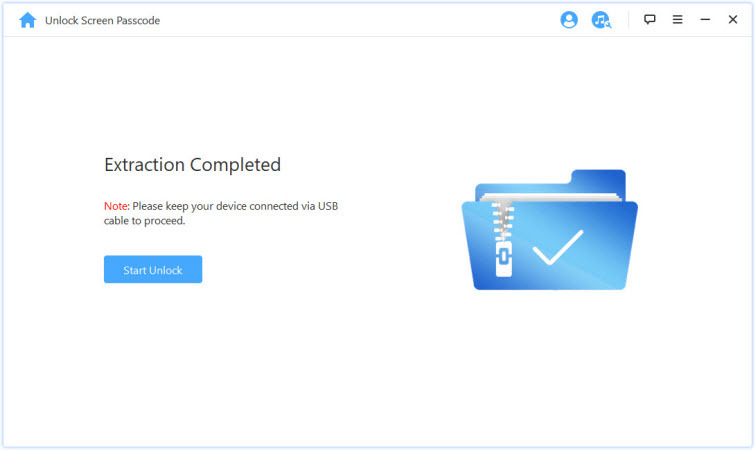 Please keep your device connected with computer during the unlocking process. iPhone screen cracked cant unlock can be fixed through this way in a few minutes. Then, you’re able to enjoy all iOS features on your iPhone. If you have synchronized your iPhone with iTunes on a computer, iTunes backup can be used to restore your iPhone. This way is available only when entering password is not required during the process. Step 1: Connect your device to a computer and load iTunes. Step 2: Click on the ‘Summary’ button at the top of the iTunes page. Step 3: Click the option to “Check for Update” and see if there is something new available. Step 4: Click on the “Restore” option and go through the process. Step 5: Restore from iTunes backup. You can use iCloud and the “Find My Phone” feature to unlock your broken screen iPhone with the most recent backup, so hopefully you’ve been backing up frequently. 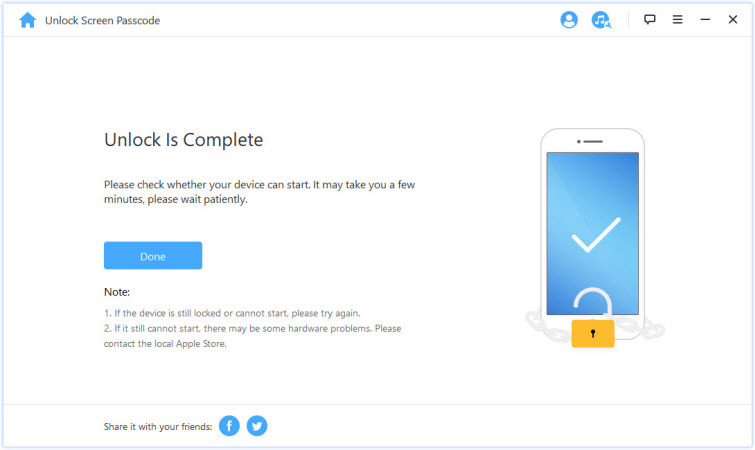 Step 1: Connect your device to a computer and sign in to your iCloud account. 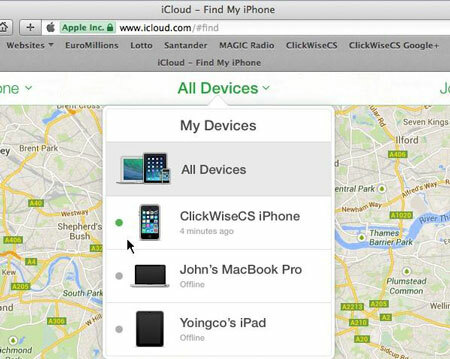 Step 2: Click the “Find my iPhone” button and then choose “All Devices”. 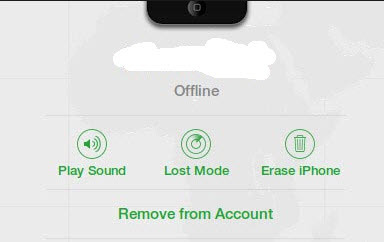 Step 3: Now click on “Erase iPhone” to get rid of everything including password. Step 4: Now restore your device from a backup on iCloud and you’ll have your stuff back. Siri feature can also be used to fix the problem of iPhone screen cracked cant unlock. It was marked “Helpful” by Apple, so why not have a try? Step 1: Connect to Siri by pressing and holding the “Home” button. Step 2: Tell Siri to “Turn on VoiceOver” which allows you to have a different kind of access to your iPhone with cracked screen. Step 3: Hit the “Home” button again to turn off Siri and open the unlock screen again. Step 4: Swipe in either direction to select the “Slide to Unlock” button and double click. Step 5: When the passcode page opens, swipe to the sides until the right number is highlighted and then double click to choose it. Do this one at a time. Step 6: Once you’re done, swipe until you select the “Enter” button and then double click again. No matter what kind of problems you might have had with your device or what might have happened to the screen, you definitely don’t want to lose access to your device. 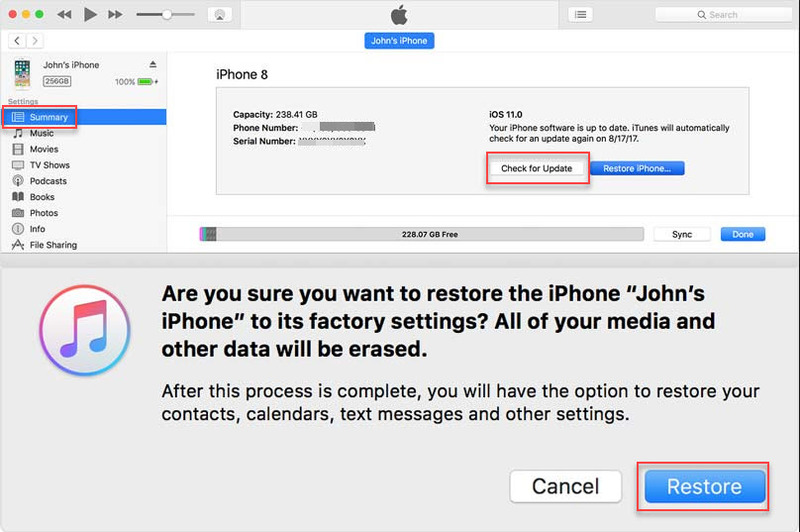 The great thing is that a couple of these options (using Siri and iTunes restoring) actually don’t delete the information that you had on the device either. Even the other two solutions may cause data loss, there is no need to worry about it if you’ve been backing up frequently. Please always remember to back up your data and make sure you synchronize your device with iTunes and iCloud, as both are going to make it easier for you to fix iPhone screen cracked cant unlock.